This is an abbreviation of talk I gave for the design firm Thomas Pigeon in early April. 5:12 creativity that’s not rooted in culture has this calorie-free quality. It’s not lasting, it’s not impactful. It doesnt really change the brand. It doesn’t really touch the consumer, and it doesn’t really resonate with the culture in place. 8:48 is there a Canadian advantage? 9:38 the rise of prepared food: Cheese Whiz! How can we help our clients? 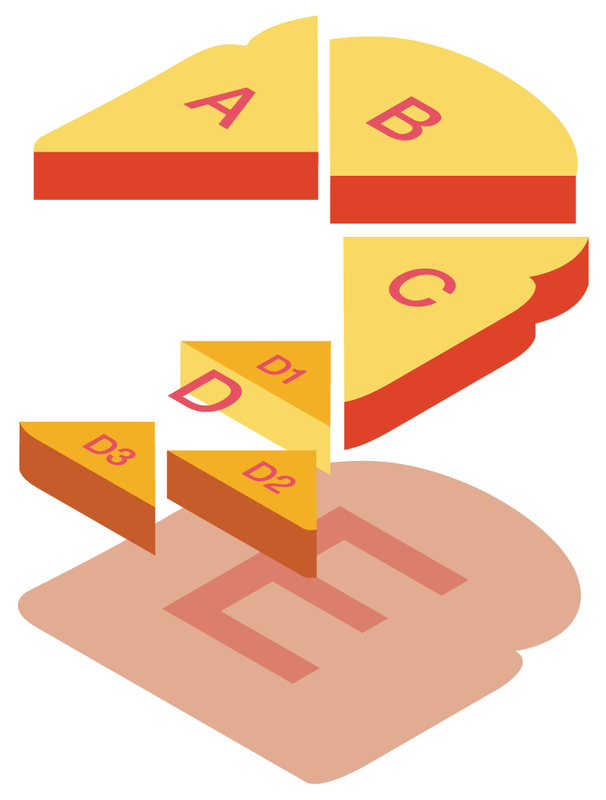 12:00 second step: choose the meanings (on the map) that really work for the brand? 14:27 culture is our competitive advantage, it’s time to see it clearly! This entry was posted in anthropology, Uncategorized and tagged Andy Grove, artisanal disruption, artisanal trend, Birkin Bag, branding, brands, Cheese Whiz, Christensen, Coca-Cola, CPG, CPG brands, CPG crisis, creative distruction, creativity, culture, design, designers, designthinking, disruption, Malcolm Gladwell, marketing, Marshall McLuhan, Michael Ennis, Michael Raynor, Nassim Taleb, Nestles, Peter Schwartz, Schumpeter, Toffler, Unilever on May 2, 2017 by Grant. I am doing a Culture Camp in London June 13. Here’s the description. Please join us! 1) expand your knowledge of the big changes transforming culture. 2) develop your ability to put this knowledge into action. Culture is at the core of the creative’s professional competence. It is the well from which inspirations and innovations spring. It’s one reason startups and corporations need the cultural creative. This culture camp is designed to enhance your personal creativity and professional practice. We will look at 10 events shaping culture. 1.1 The end of status as the great motive of mainstream culture. 1.2 The end of cool as the great driver of alternative culture. 1.3 The movement between dispersive cultures and convergent cultures. 1.4 The movement between fast cultures and slow cultures. 1.5 The shift from a “no knowledge” culture to a “new knowledge” culture. The image is from Yanko Tsvetkov’s Atlas of Prejudice 2. I am keen to stage the culture camp in Tomato Europe, Wine and Vodka Europe, Olive Oil Europe, and of course Coffee Europe. Please let me know if you are interested in participating or sponsoring. 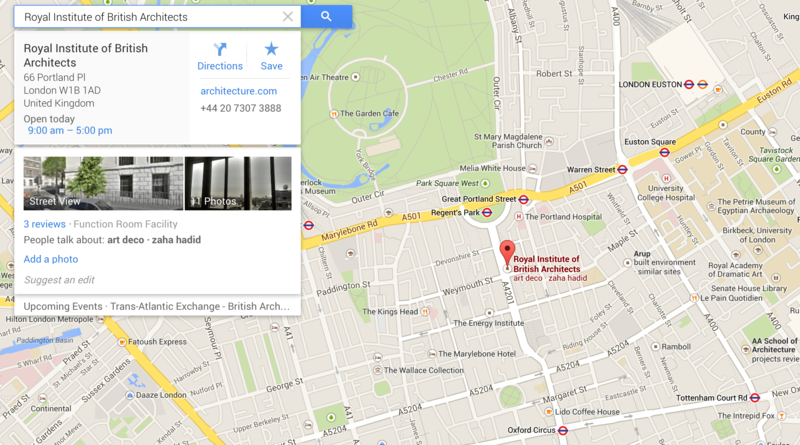 Culture Camp will be held 9:00 to 5:00 on June 13 at the Royal Institute of British Architects, 66 Portland Place, as below. (Register for the Culture Camp here. You don’t have to be a DMI or RIBA member to do so. This entry was posted in Uncategorized and tagged anthropology, artisanal trend, Atlas of Prejudice, brand, branding, brands, cool, Culture Camp, Culture Camp London 2014, Design Management Institute, ethnography, fast culture, homeyness, how to make a meme, Leanne Tomasevic, memes, multiple selves, new media, slow culture, social networks, status, Truth, Yanko Tsvetkov on April 2, 2014 by Grant. E This is the trajectory of so much cultural meaning in American culture. It begins as a personal invention, created for personal reasons, and then it finds its way by logical and diffusion stages into American culture, installing itself in our lives, as a much more public, but still resonant, meaning. The personal becomes the public becomes the personal. Think Z-dogs skating abandoned houses in southern California. Think Alice Waters. Think Lou Reed. Think Pete Seeger. Some film makers. Most novelists. All poets. And I love how well this essay works as an essay. This may have something to do with the double construction. Gravois’s quest becomes a study of her quest. Gravois gives us an artisanal treatment of her artisanal treatment. The mythic construction. that’s evoked, not inked. The “just so” quality of the story, how inevitable it feels. Fragile, perilous, but necessary. It’s fun to think how much American culture comes from the personal. From individuals making cafes called Trouble and authors discovering them in essays called Toast. Apparently, we have pipes down everywhere, there to capture innovations and bring them to the surface. Meaning as energy. I’m not sure we know enough about this process. This is the social face of innovation. We know how bags of data and thinking on technological and business innovation. But the social stuff, that’s less clear. Sorry for my graphic. I thought it would work as a kind of a road map for the post. But really it just ends up looking like one of those combination locks on the driver’s door of a mid size, turn-of-the century Buick. Sorry. I really will have to talk to the guys in the lab. Design, this is not something they know from. Silky Szeto was kind enough to intervene with a second, better, graphic. Thank you, Silky. See more on Silky’s splendid work here. This entry was posted in Uncategorized and tagged Alice Waters, American culture, artisanal, artisanal trend, film makers, innovation, John Gravois, Lou Reed, novelists, Pacific Standard, Pete Seeger, poets, Silky Szeto, Toast, Trouble, Z-gods on March 27, 2014 by Grant. A few years from now I think we will look back on the artisanal trend and spot a cliche. Artisanal products believe themselves to be intrinsically interesting. They are in fact massively self absorbed. They do not tend to carry culture meanings except about themselves. Artisanal products, it’s all about them. 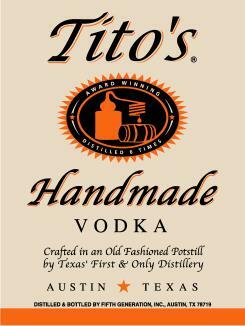 Tito’s is a small run vodka now being made in Austin, Texas. It was recently written up in Wall Street Journal Magazine. The first thing that Tito’s wants you to know about itself is that its hand-made. I am never sure what this means when it comes to certain products. It sounds more laborious than crafted. What does it matter how the grain was stirred? A machine or by hand, it can’t matter to the vodka. Right? The WSJ Magazine article is a marketer’s dream. This kind of coverage for this kind of audience! Who could ask for anything more? This is hand made marketing! 1. This brand is made in tiny batches in an obscure place. Check. 2. It is made by some guy who used to work for a giant corporation. Check. In the Tito’s case, the guy is Tito Beveridge, a geophysicist worked for an oil company. Every time someone tells me about an artisanal chocolate, the maker seems to be a former NASA or airline pilot. And I think we are supposed to marvel on how this individual is found his or her artisanal salvation.They have followed their bliss out of the big bad corporation into something kinder and gentler. I’m not sure but I think we prefer to think of our artisanal producers as large and ambling, if men, and little and pretty, if women. Look, not a threat to anyone! Nit wit, please. 3. It is always premium priced and incredibly high end, because well someone seeking their artisanal salvation is not going to look for it in price cutting or any thing so vulgar as market competition. The artisan is, it turns out, too good for capitalism of any conventional kind. Check. 4. There is always a long period in the wilderness when the artisan struggles to keep his or her dream alive. What a brave, devoted soul! And finally of course there is triumph. Because the Romance playbook tell us that all acts of self sacrifice result in an apotheosis. Virtue becomes celebrity. (Pursue the intrinsic and the world will reward you with the extrinsic.) Check. 5. There is an odor of vanity and self importance about the brand and it’s maker…and, sorry, it’s consumer. We are all so very special. (Bitter? A little. Being a month without a blog hurt me, clearly.) Check. Traditionally, marketing has been about meaning making. And recently we have seen marketers define brands with meanings ever more subtle and interesting. But the artisanal trend seems to run against the flow. There is only one meaning contained in an artisanal brand, the artisanal one. There’s no question that this myth is a potent meaning and it adds to our story telling at the bar at a time when we like to be telling stories at the bar. But damn it if it isn’t always the same story. For some reason, the artisanal trend gives us license to make the back story the front story, even when it isn’t very interesting and even when we have heard it before. I guess it’s better than connoisseurship ("so very peaty!") but for how long? If you really want a true classic tattoo, you’ll have to go back in time and cross the Pacific. When your tramp steamer hits the port of Honolulu, jump ashore and head set straight to Chinatown. Soon, you’ll hit Hotel Street. You’ll know this by the sudden progression of wide-eyed sailors, foul-mouthed roughnecks, and general sanctioned mayhem. And there, tucked away on a steamy side street, you’ll see the bright red neon glow of “Sailor Jerry’s”- the tattoo shop that marked the fighting men of the Pacific for nearly 40 years. Now that’s what I call a story. Not some NASA engineer looking for redemption but a rough neck who lived surrounded by mayhem and the low life. Not a brand but a brander. Please start your story engines now. Carrigan, Janelle. 2010. Proof of life. Wall Street Journal Magazine. March. pp. 30-31. McCracken, Grant. 2006. The Artisanal Trend and 10 things that define it. This Blog. November 9. here. 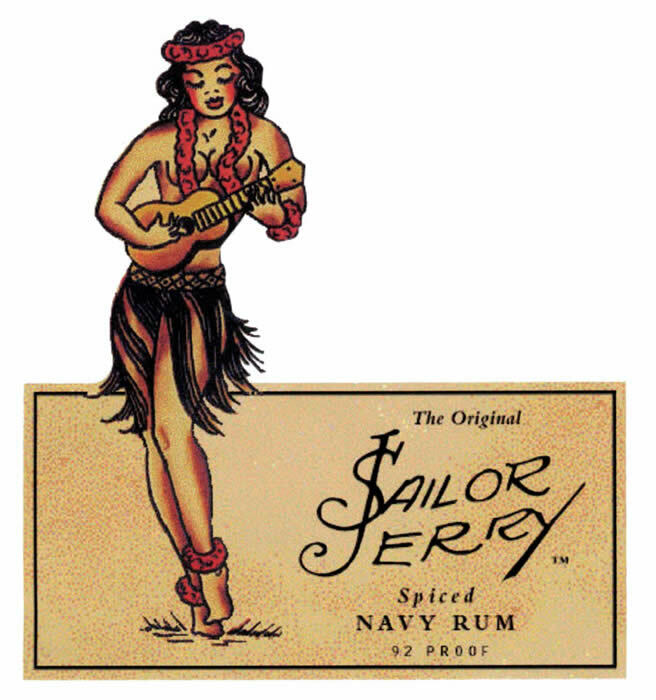 The source for the Sailor Jerry passage here. Thanks to Michael Margolis, I am thinking more about story telling these days. See his website here. This entry was posted in Uncategorized and tagged artisanal trend, branding, cocktail culture, marketing, Michael Margolis, mixology, Norman Collins, Piers Fawkes, PSFK, Sailor Jerry, spirits, Steven Grasse, storytelling, Tito's on May 5, 2010 by Grant.